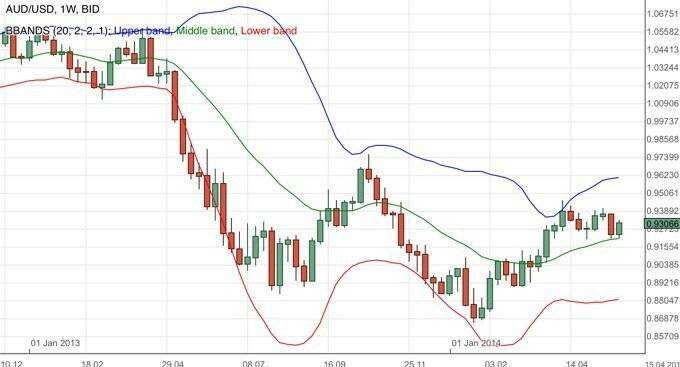 In the previous AUD/USD forecast we noted that the currency pair was testing the middle bollinger band and hence we might expect supportive influence. Looking at the AUD/USD weekly chart above we note that the currency pair did indeed encountered a support due to the influence of the middle bollinger band as mentioned in my previous forecast. In the upcoming week, any bearish return will probably need to overcome the middle bollinger band before any further consideration. Should the bullish momentum continue, we may be looking at a retest of the strong resistance region of 0.94. The EURUSD was indecisive yesterday. The bias is neutral in nearest term but overall I prefer a bearish scenario at this phase with nearest target seen around 1.3500. Immediate resistance is seen around 1.3650. A clear break above that area could trigger further bullish pressure testing 1.3700 – 1.3720. The GBPUSD was indecisive yesterday. The bias is neutral in nearest term but overall I prefer a bearish scenario at this phase with nearest target seen around 1.6655. Immediate resistance is seen around 1.6730 followed by 1.6800. The USDJPY was indecisive yesterday. There are no changes in my technical outlook. The bias remains neutral in nearest term, probably with a little bearish bias testing 101.30 support area, but key support remains around 100.80. Immediate resistance is seen around 101.80 – 102.00. A clear break above that area could trigger further bullish pressure testing 102.50 or higher. The USDCHF was indecisive yesterday. The bias is neutral in nearest term but overall I prefer a bullish scenario at this phase, especially if price able to make a clear break above 0.9000 psychological level, testing 0.9100 or higher. Immediate support remains around 0.8920. The EURUSD had a bearish momentum yesterday bottomed at 1.3587. The bias is bearish in nearest term testing 1.3550 – 1.3500. Immediate resistance is seen around 1.3610. A clear break above that area could lead price to neutral zone in nearest term testing 1.3650 but overall I prefer a bearish scenario at this phase. The GBPUSD had a bearish momentum yesterday bottomed at 1.6696. Price broke below the triangle as you can see on my hourly chart below. The bias is bearish in nearest term testing 1.6655 area. Immediate resistance is seen around 1.6730. A clear break above that area could lead price to neutral zone in nearest term testing 1.6780 but overall I prefer a a bearish scenario at this phase. The USDJPY had another indecisive movement yesterday. The bias remains neutral in nearest term, probably with a little bearish bias testing 101.30 support area. Immediate resistance is seen around 102.00. A clear break above that area could trigger further bullish pressure testing 102.50 or higher.